Airbus has revealed the A220 at a ceremony held at its Henri-Ziegler Delivery Centre, near Toulouse, France. 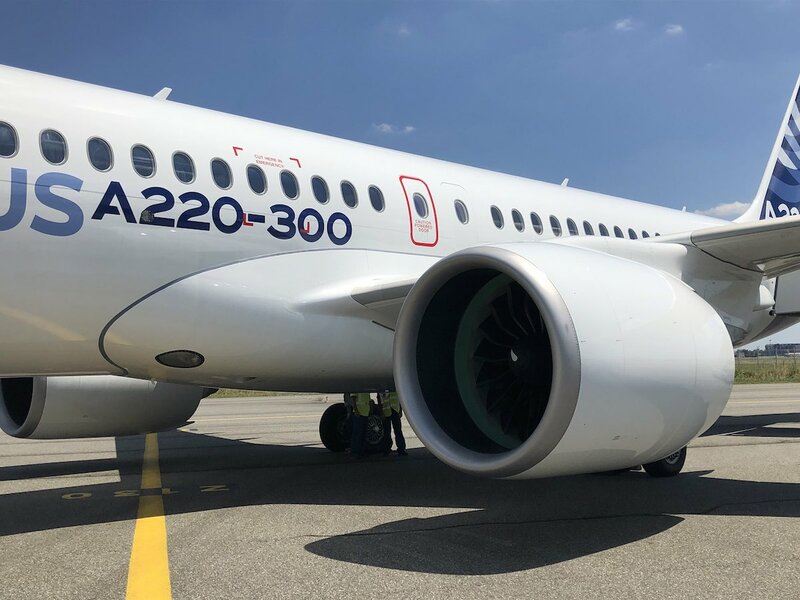 Witnessed by Airbus employees and members of the global news media, the A220-300 landed directly from the painting at 12:25 am CEST wearing its new Airbus name and colours. Airbus’ global reach and scale combine with Bombardier’s state-of-the-art jet aircraft in the A220 Family, now being produced in a partnership between Airbus and Bombardier. 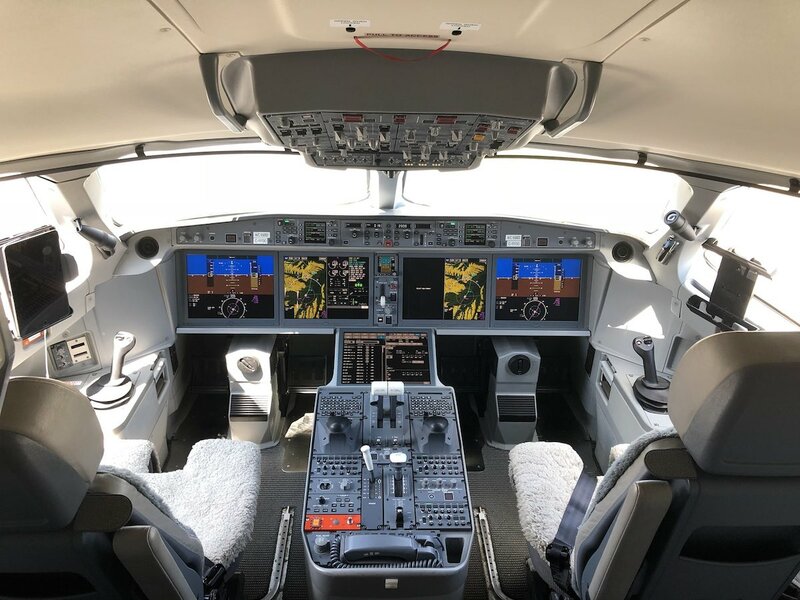 Airbus manufactures, markets, and supports A220 Family aircraft under the aegis of the Airbus-Bombardier partnership, with Bombardier’s two jetliners – previously designated the C Series – being brought into the Airbus commercial aircraft line-up. These airplanes fill an important niche – covering the segment that typically accommodates 100-150 seats – and responding to a worldwide aviation market for smaller single-aisle jetliners estimated at some 6,000 such aircraft over the next 20 years. A220 Family aircraft have been specifically designed for the 100 -150 seat market, resulting in efficiencies inherent in purpose-built aircraft with an unmatched environmental scorecard. What’s more, the A220-100 and A220-300 have over 99 percent parts commonality between them, as well as the same pilot type rating, facilitating the family’s addition to an airline’s fleet. Up to 5,440 kg lighter than their competitors, A220 Family jetliners were designed using state-of-the-art computational aerodynamics combined with 21st century supercomputing capability; the result is a family of aircraft with optimal aerodynamic performance and reduced drag. Powering the aircraft are twin Pratt & Whitney PurePower PW1500G geared turbofan engines specifically designed for this jetliner product line. With a bypass ratio of 12:1 – one of the highest of any turbofan engine in the world – the engines feature 20 percent lower fuel burn per seat than previous generation aircraft, half the noise footprint, and decreased emissions. 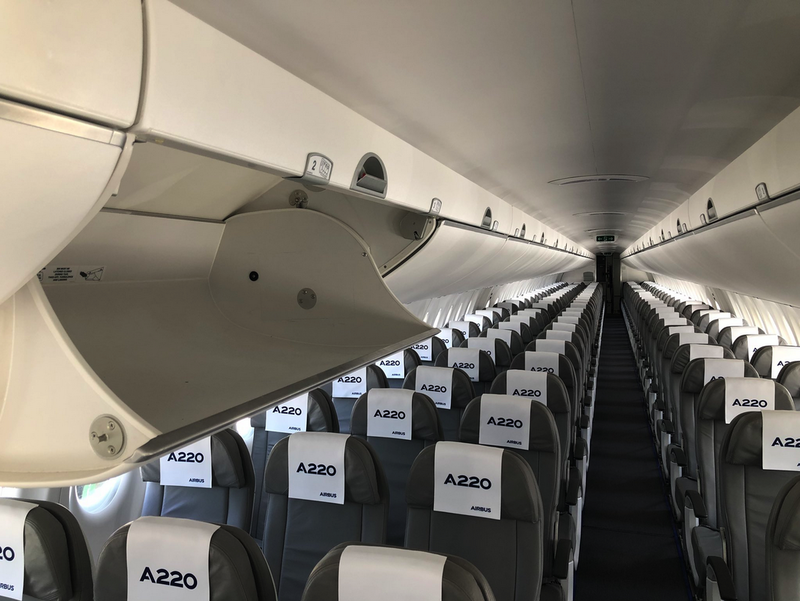 Together, the A220 Family represents the most efficient aircraft in the skies in their class, with up a low cost per trip, as well as the lowest noise levels of any commercial jet in production. This makes the A220 Family aircraft ideal for urban operations and noise-sensitive airports. Overhead bins, with the largest stowage capacity in their class, are easily accessible. The windows, extra large and plentiful with more than one at each row, are positioned high on the cabin sidewall to provide an optimal viewing angle and an abundance of natural light. Wide seats –18 inches or more – provide personal space without compromise, and the newly designed engines contribute to the quietest cabin in the A220 Family category.